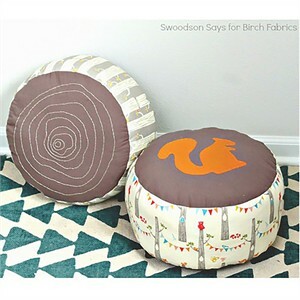 Stephanie of Swoodson Says is sharing her log slice pouf tutorial with us, using the Circa 52 collection by Monaluna. Isn't this project just so darling? 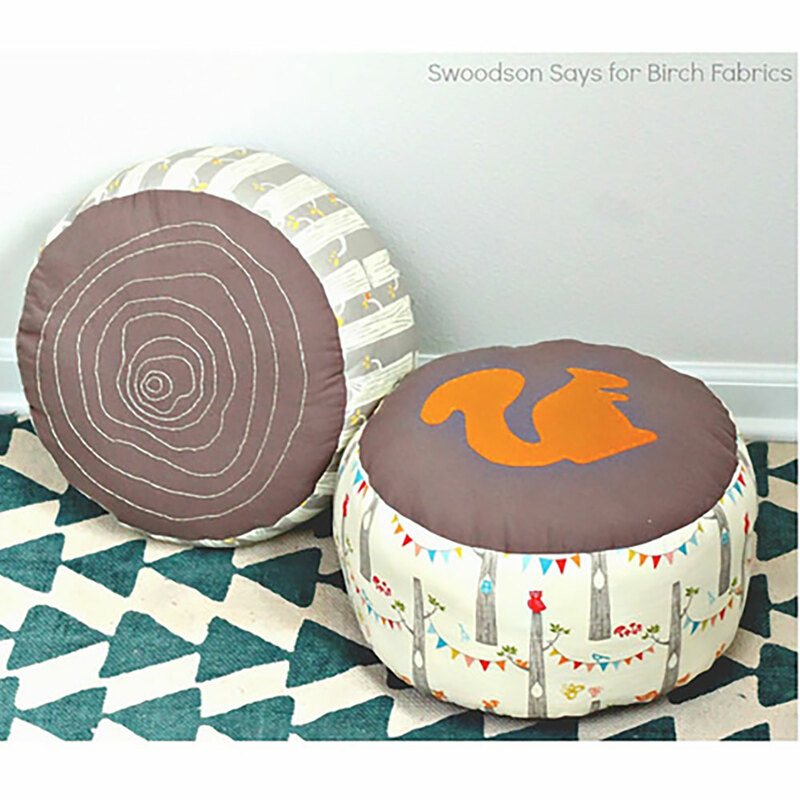 These little tree stumps wood look great in a child's reading corner, or even slid underneath your coffee table for extra toddler seating. Have a look, and enjoy!